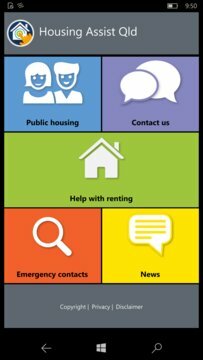 The Housing Assist Qld app is free and you can use it to access a range of housing services online, anytime! 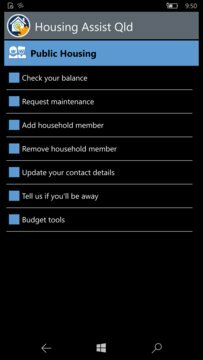 An updated version of the app now allows you to do even more from the comfort of your own home. •	Tell us if you’re away. And much more - anytime you like!